Goal: 1v1 quick move to beat defender and take touch to strong low shot on Pugg. A passes to B. 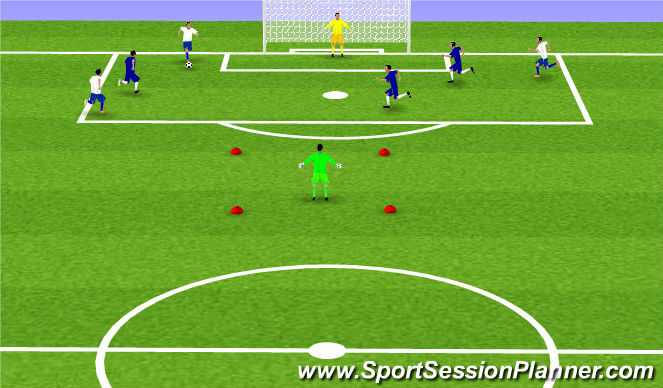 A then sprints to middle cone to stand as a defender. B dribbles with pace at defender and makes quick move around defender B and then shoots on Pugg. B Follows shot and takes ball to A&apos;s line, A then rotates up to B&apos;s line. Same Drill mirrored with C & D lines. Coaching Points: 1st touch forward(controlled). Excelerate with move around defender. Strike ball with pace, locked ankle square over ball and follow through. Neutrals move around game supporting play. Can transfer ball to another square at any time. 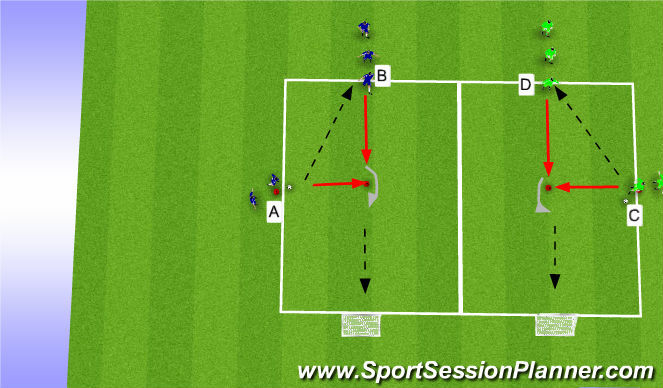 Score by making a split/killer pass to player across endline. 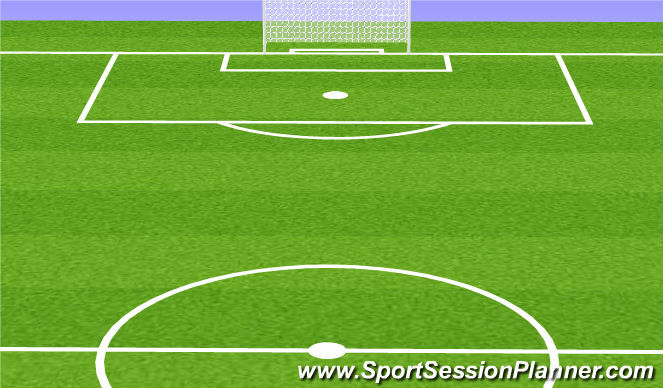 Allow players to move freely between zones, but only 1 player per team in each zone. When ball is lost new possession must hit point person before a shot. Must maintain play in 18yd box. 3rd team are wall passes outside of 18. Adjust #&apos;s as needed.